Written content is the lifeblood of internet marketing. Online information may still hold value without images, but it cannot do away with written words. Whether the website features clinically informative articles or engaging blog entries, it takes a certain amount of creativity to put valuable ideas into words. It is the primary basis of communicating with the audience, and in this case, potential customers who might be convinced to subscribe to the marketed website. The more concise, literate and well-written the web page contents are, the more profitable the campaign would be. Content writers are keen on observing grammatical rules, keyword systems and the ability to captivate the reader through his or her composition. While websites contains words that may lure prospective online consumers, the intention would remain futile if none of them finds the webpage appealing. It is the job of every web designer to fashion the interface of the online page. They are responsible for arranging the menus as well as the background settings. Web designers must be well-versed in “aesthetic efficiency” and it has become a common trend among them to sport a more minimalist outline. It is because of web designers that websites remain user-friendly, organized (easily navigable) and, most importantly, “appealing”. It is not enough for websites to remain substantial and attractive. 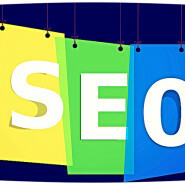 The most important creative aspect of SEO operations is to keep the website “interactive”. Web assistants occupy the administrative capacity of creative marketing personnel. It is their job to keep websites active by doing meticulous organization tasks such as uploading new content, posting photos and even commenting to the webpage guests.